In 2013, Boating Laws in Georgia are changing. 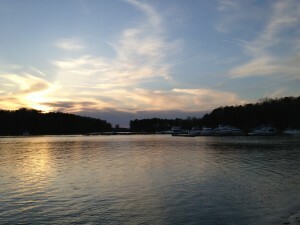 Due to recent boating tragedies on Lake Lanier new laws are being added to promote safety on Georgia waters. In 2012, two separate tragic fatal boating incidents on Lake Lanier put attention on Georgia’s Boating Laws. During the 2013 Georgia Legislative Session, the Lake Lanier Legislative Delegation, with the strong support of the Governor, sought out solutions to address holes in Georgia’s Boating Laws. Several Lake Lanier Legislative Caucus meetings were held to discuss the issues and forums open to the public were attended by the legislators. Those opposing the new laws believed that existing laws were enough and additional laws were an unnecessary intrusion. While those in favor contended that the laws address important safety issues. On April 23, 2013, Georgia Senate Bill 136 was signed into law with an effective date of May 15, 2013. The new law addresses many specific major issues, as well as some minor legislative housekeeping fixes. The new 2013 Georgia Laws addressing boating safety and hunting safety, are designed to protect the lives of the general public while outdoors and on Georgia’s waters. A main component of the new Georgia Boating Under the Influence (BUI) Law was the reduction in the Blood Alcohol Concentration (BAC) from .10 BAC to .08 BAC. The .08 BAC level harmonized BUI with Georgia’s automobile Driving Under the Influence (DUI) level. In addition, both First Time and Repeat Offenders are subject to increased mandatory penalties, which mirror those for automobile Driving Under the Influence violations. The general rule that one must be at least 16 years old or older to operate a personal watercraft (PWC) remains the same. However, the exceptions for younger PWC operators have changed. A child between 12 and 15, may legally operate a PWC only if: 1 they have taken a boating education course, or 2. are on the PWC with someone 18 or older who is legally allowed to operate the PWC. A previous exception of a responsible adult being ˜within 400 yards of the child on the PWC has been removed. Effective July 1, 2014, for anyone born after January 1, 1998, a mandatory a Boating Education Course will be required to operate a boat, vessel, personal watercraft, etc. Those 18 years of age or older on January 1, 2014, would be exempt from the Boater Education Course (except when renting a vessel). There will be several class options, including an on-line class. The required age for a child to wear a properly fitted life jacket/ personal flotation device was increased from under 10 years of age to under 13 years of age. One of the more controversial aspects of the new law was the reduction of Hunting Under the Influence to .08 BAC from .10 BAC and adding an up to 2 year Hunting License suspension for a refusal to submit to State administered testing. This type of Administrative suspension is the law in BUI and DUI cases where the operator / driver refuses to submit to State administered testing. In an effort to have Georgia Law reflect national boating manufacturing standards, the red and green lights on the bow can be a 10 point combination red and green side lights properly screened and not just the 20 point combination previously required. The intent of these new laws are to help make Georgia safer and save lives on Georgia lakes and outdoors. At A. Bishop Law, we welcome any questions about boating safety and boating law. Please Call or Email us about any questions you may have about Georgia Boating law safety violations. Your initial consultation is free and confidential. At A. Bishop Law, our Georgia Criminal Defense Attorney welcomes questions on Criminal Defense laws, Traffic Laws and Georgia DUI laws. Please Call or Email us with any questions. About the attorney: Anne Bishop is a Georgia Lawyer with A. Bishop Law in Gainesville, Georgia and handles various DUI / DWI, Marijuana Arrests and other Georgia Criminal Defense matters. The law office of A. Bishop Law can assist clients throughout Georgia including: Hall County (Gainesville, Oakwood, Flowery Branch), Jackson County (Jefferson, Braselton) White County (Helen, Cleveland), Lumpkin County (Dahlonega), Dawson County (Dawsonville), Habersham County (Demorest, Cornelia), and all of Northeast Georgia. This article and/or video should not be considered nor relied upon as legal advice since it is only intended for general overview and informational purposes. Please consult with an attorney on your specific situation in order to determine an appropriate legal course of action.